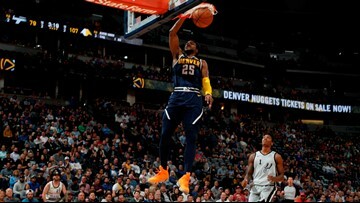 Denver evened best-of-seven series at a game apiece with 114-105 comeback win Tuesday night in Mile High City. 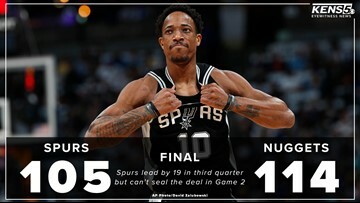 The Spurs and Nuggets will go back to San Antonio with the series tied 1-1. 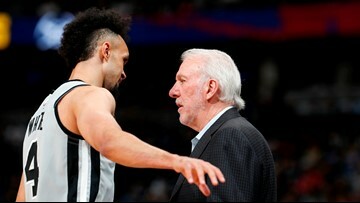 Vinnie's Take: Can the Spurs reach the Western Conference Finals? 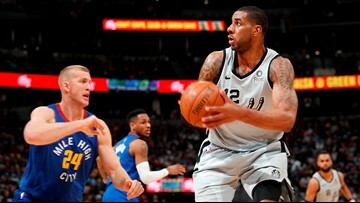 Vinnie Vinzetta explains how likely it is for the San Antonio Spurs to wind up in the Western Conference Finals. 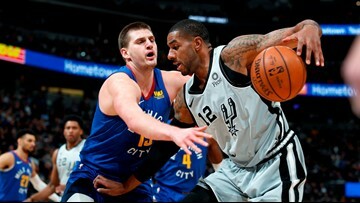 San Antonio forward LaMarcus Aldridge, Denver center Nikola Jokic were held to 15 and 10 points, respectively, in Game 1. 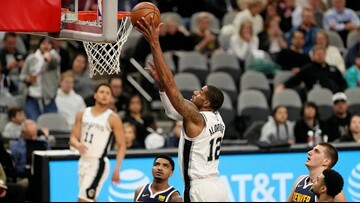 The team with the worst road record among the Western Conference's eight playoff qualifiers during the regular season knocked off the Nuggets, who finished a league-best 34-7 at home, in Game 1 of their first-round series in Denver. 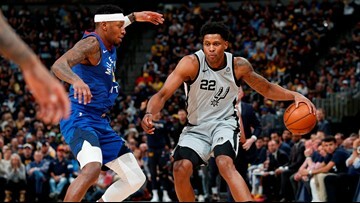 The San Antonio Spurs were able to steal Game One of their first-round playoff series against the Denver Nuggets on Saturday night. 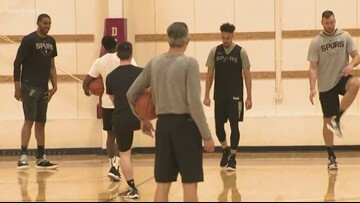 And now they want more on Tuesday. 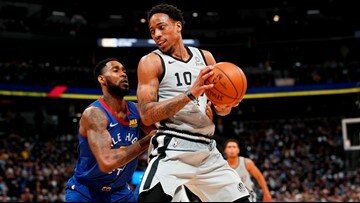 San Antonio point guard Derrick White had a stellar game in his first playoff start, finishing with 16 points on 7-of-10 shooting and making a steal that sealed the victory. 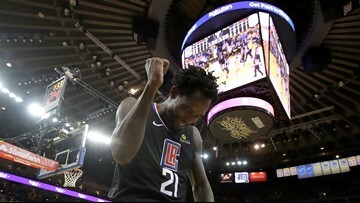 The two teams split their season series, each winning at home twice. 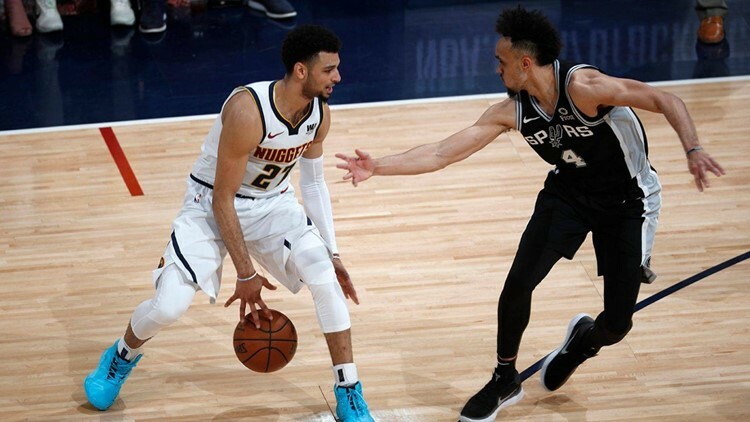 The Nuggets, who host the Spurs in Game 1 of their first-round playoff series Saturday night, finished a league-best 34-7 at home this season. 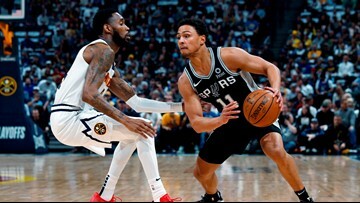 San Antonio must figure out a way to steal a win in Denver to advance in the 2019 NBA Playoffs.